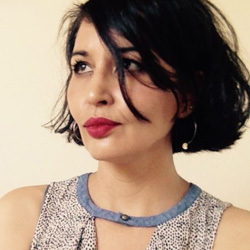 Layli Long Soldier earned a BFA from the Institute of American Indian Arts and an MFA with honours from Bard College. She is the author of the chapbook Chromosomory (2010) and the full-length collection Whereas (2017), which was a finalist for the National Book Awards. She has been a contributing editor to Drunken Boat and is poetry editor at Kore Press; in 2012, her participatory installation, Whereas We Respond, was featured on the Pine Ridge Reservation. In 2015, Long Soldier was awarded a National Artist Fellowship from the Native Arts and Cultures Foundation and a Lannan Literary Fellowship for Poetry. A citizen of the Oglala Lakota Nation, Long Soldier lives in Tsaile, Arizona, in the Navajo Nation, with her husband and daughter. She is an adjunct faculty member at Diné College. During the 1800s, when the US expanded territory, they “purchased” land from the Dakota people as well as the other tribes. But another way to understand that sort of “purchase” is: Dakota leaders ceded land to the US government in exchange for money and goods, but most importantly, the safety of their people. But to make whatever-it-was official and binding, the US government drew up an initial treaty. However, as best as I can put the facts together, in 1851, Dakota territory was contained to a twelve-mile by one-hundred-fifty-mile long strip along the Minnesota River. But just seven years later, in 1858, the northern portion was ceded (taken) and the southern portion was (conveniently) allotted, which reduced Dakota land to a stark ten-mile tract. The US treaties with the Dakota Nation were legal contracts that promised money. Without money, store credit or rights to hunt beyond their ten-mile tract of land, Dakota people began to starve. Eventually, the US Cavalry came to Mnisota to confront the Uprising. More than one thousand Dakota people were sent to prison. However, as further consequence, what remained of Dakota territory in Mnisota was dissolved (stolen). Now, every year, a group called the The Dakota 38 + 2 Riders conduct a memorial horse ride from Lower Brule, South Dakota to Mankato, Mnisota. Yet, I started this piece because I was interested in writing about grasses. The following are links to other Web sites with information about poet Layli Long Soldier. 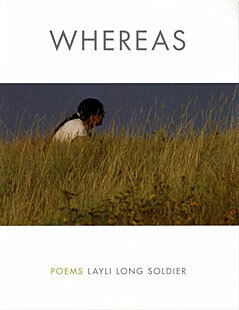 Have you read Whereas by Layli Long Soldier? Add your comments to this page and let us know what you think.